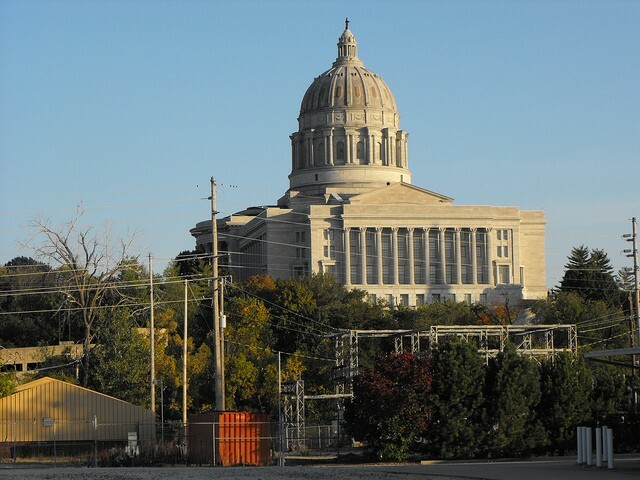 The Missouri Legislature is charging forward with a bill to gut the state’s discrimination laws. In March 2015, a man who used to work at Show-Me Rent to Own in Sikeston, Missouri, filed a lawsuit alleging that his supervisor regularly used racial slurs against him, telling him, among other things, to “quit acting like a n*gger” — and that a map on the wall of the store circled a majority black neighborhood with the words “do not rent” written next to it. But hey, this is Missouri. And instead of Romine’s business practices forcing him into the hot seat, he’s instead using them as the basis of a folksy anecdote about “frivolous litigation” to advance legislation that would gut workplace protection against racial discrimination in Missouri — legislation that’s now on the fast track. It could get a full House vote as early as Thursday, and head the governor’s desk after that. And that’s even though Romine’s bill, which has already passed the state Senate, is a toxic stew: a mess of bad provisions that manages to exempt state employees from whistleblower protections, gut workers’ ability to allege racial discrimination, and protect Romine’s own interests, all in one package. Yet onward it sails. When the president of the NAACP spoke against it in the House, the committee chair cut off his mic. All this even though Democrats have straight-up accused Romine of self-dealing. The St. Louis Post-Dispatch, to its credit, first connected the dots on Romine’s conflict of interest earlier this year. At a house committee hearing Tuesday, according to a detailed account on MissouriNet, state Representative Mark Ellebracht (D-Liberty) basically begged members to stop Romine. “To have a senator introduce a bill that is so evidently self-serving is offensive, and it tarnishes our honor by participating and allowing him to advance this legislation,” he pleaded. “I encourage the body to vote no for our own honor sake, and for the oath that we took.” But even though two brave Republicans crossed party lines to vote against the bill, it wasn’t enough — the bill won committee passage and quickly was scheduled for a Rules Committee hearing last night. That’s likely the final step before a vote on the floor. As approved by the Senate, SB 43 would gut the state’s Human Rights Acts (which is already fairly limited — among other things, sexual orientation is not covered). But under these new provisions, instead of showing only that race or gender are “a contributing factor” to discrimination, Missouri residents would have to show that it was “the motivating factor” (emphasis added). Then let’s say the employee was fired. Under the new law, it wouldn’t be enough to show that race was one of the reasons he faced termination. His lawyers would have to show it’s the single biggest reason — an incredibly difficult standard. That’s not all. The new law codifies the protections enjoyed by whistleblowers in Missouri — but expressly carves out exemptions for those who work for, yep, the state of Missouri, including its university system. Remember those shocking details about the treatment of employees at the Department of Corrections — treatment that’s cost taxpayers millions? Under SB 43, Roberts says, the whistleblowers who helped bring that situation to light would have zero protection. Adding insult to injury, for those few people who would be able to bring a case under the tougher standard, SB 43 ensures there will be little reward in the end. The new law would limit damages to back pay, plus a relatively small penalty — just $50,000 for small companies, sliding upward to $500,000 for very largest corporations. That’s pocket change for Wal-Mart, but even the most egregious conduct would be capped there. Those advocating for the new law say they want to scale back state law to federal standards, and to correct judicial overreach. But if this was really such a huge problem, wouldn’t you think they could find someone else to sponsor this bill other than a guy up to his eyeballs in potential liability?